According to a release from the American Chemical Society, scientists examined how pets could be exposed to toxic parabens in their food. The report was published in February 12018 in ACS’ journal Environmental Science & Technology. The release explains that parabens are preservatives commonly found in cosmetic and pharmaceutical products, and their use in human food products and dog and cat food is regulated by the U.S. Food & Drug Administration. The substances also have been shown to be endocrine-disrupting compounds (EDCs). Research has shown EDCs potentially interfere with hormones and have harmful effects on developmental, reproductive and neurological systems. Previous studies have examined the presence of other EDCs, such as heavy metals and bisphenol A, in pet food, but very little is known about parabens in this context. So, Kurunthachalam Kannan and colleagues wanted to examine the exposure of dogs and cats to parabens in commercially available pet food and analyze the substances in the animals’ urine. The team examined 58 variations of dog and cat food, as well as 60 urine samples from animals. 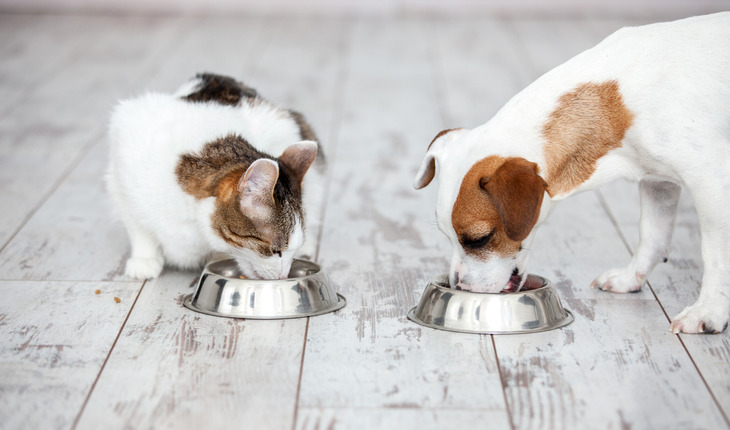 The paraben called methyl paraben and the metabolite called 4-hydroxybenzoic acid (4-HB) were the most abundant chemicals detected in pet food and urine. The researchers found that dry food contained higher levels of parabens and their metabolites than wet food. In addition, the researchers report, cat food had higher paraben concentrations than dog food. After the urine analysis, the group calculated the cumulative exposure intake for the dogs and cats. By comparing the calculations, the team concluded that dogs are exposed to other sources of parabens, besides food, whereas cats’ exposure is mainly from their diet. The group also notes that to their knowledge, this is the first time the occurrence of these substances has been reported in pet food and urine in the U.S.